With a stay at Hotel Røde-Kro in Rodekro, you'll be 4.6 mi (7.5 km) from Brundlund Palace and 27.7 mi (44.6 km) from Dybbol Banke Battlefield. Featured amenities include complimentary newspapers in the lobby, luggage storage, and laundry facilities. This hotel has 2 meeting rooms available for events. Free self parking is available onsite. With a stay at Hedegaarden in Engesvang, you'll be 10.3 mi (16.6 km) from Art Center Silkeborg Bad and 10.9 mi (17.5 km) from Paper Museum. Free self parking is available onsite. Located in Borre, Møn Hostel & Vandrehjem is in a rural location, a 5-minute drive from Klintholm Harbour and 6 minutes from Liselund. The front desk is staffed during limited hours. 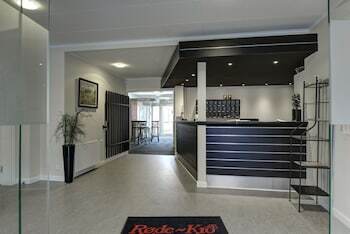 With a stay at Give City Apartment, you'll be centrally located in Give, 6.6 mi (10.6 km) from Givskud Zoo and 10.2 mi (16.5 km) from Jelling Stones. Free self parking is available onsite.